A huge solar storm hit the earth's atmosphere yesterday, and we were lucky enough to catch a glimpse of it. 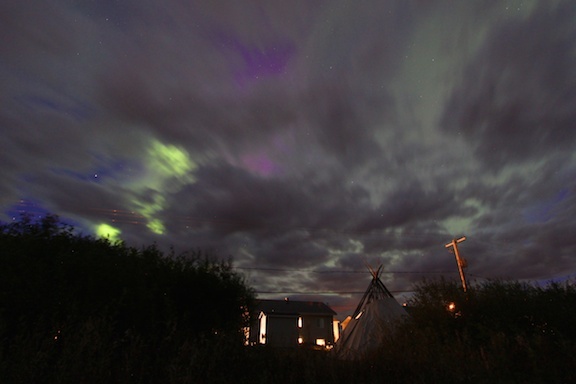 Unfortunately the sky was clouded over but you could still see the auroras dancing between the cloud breaks. The clouds add a certain je-ne-sais-quoi to these images... a spooky, pre-halloween eeriness that I actually really like. 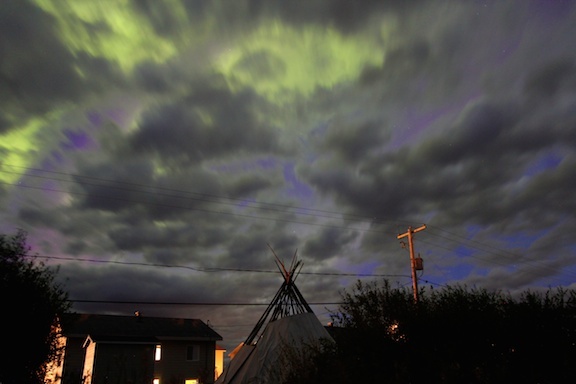 According to Space Weather, it was the most intense geomagnetic storm of the year! Wish I could have seen more of it, but shortly after I took these pictures the sky completely clouded over and that was the end of that. 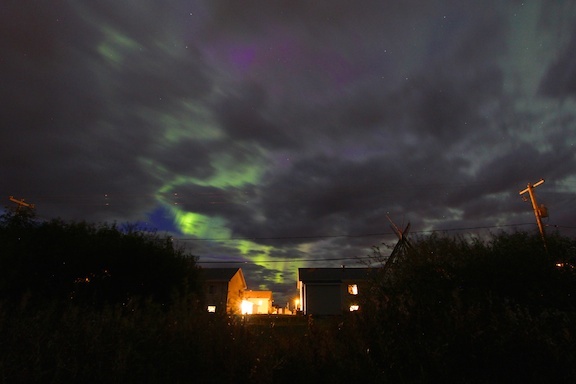 Still, witnessing the northern lights is always spectacular, no matter how fleeting. Such dramatic and beautiful photos! Wow, it looks simply amazing! What a treat:) Happy Monday, lovely. I'm just flabbergasted! So beautiful! Any thoughts? I so love to hear from you! HEY, LADY GREY is a blog about the simple pleasures in life, and the little things that make us smile. A blog for nurturing the many sides of our eclectic souls. This blog is not for profit and free of ads. All opinions are my own. Thank you for reading. Breathe, laugh, love, stretch. *All pictures, unless otherwise stated, are Hey Lady Grey originals. Watermark theme. Theme images by Ollustrator. Powered by Blogger.